Settling Credit Card Debt: 6 Facts to Know (Pt. 1) - Jon B. Clarke, P.C. As of September 2014, Americans owed more than $880.5 billion in credit card debt, with the average amount of credit card debt per U.S. household being just over $15,600 (according to data from the U.S. Federal Reserve). Clearly, credit card debt is a big problem for many Americans, and this problem can be compounded in many cases by unemployment, divorce or illness and accumulating medical bills. When massive credit card debt may be burying you in debt, it may be time to consider settling credit card debt to try to improve your financial situation. In this three-part blog series, we will highlight some of the important things you should know if you are considering settling credit card debt. If you would like more info about this debt relief option, as well as your best options for getting out from under any type of significant debt, contact the Colorado debt relief and bankruptcy lawyers at the Law Office of Jon B. Clarke, P.C. Fact 1 – Settling credit card debt can have some risks you should be aware of. While settling credit card debt can be effective for some, there are some risks that people need to be aware of before moving forward with this option. Having to drop out of these programs before any real debt relief has been achieved – In fact, some debt settlement programs may require you to make monthly “payments” or deposits into an account for an extended period of time (e.g., 36 months) before settling credit card debt. If you can’t make these payments and end up dropping out of the program before the term of it has run its course, you can end up in even further debt than before you started. Facing the possibility that creditors won’t be willing to settle – Credit card companies are under no obligation to comply with debt settlement requests, so there’s always the risk that they will refuse a company’s efforts to settle your debts. This can mean that you end up paying for services you never receive, which again can put you in the position of having more debt than when you started. 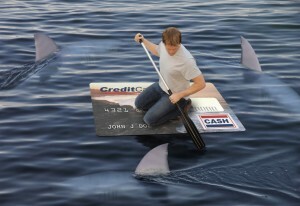 Fact 2 – Beware of scams when you are looking for help settling credit card debt. Any advice that suggests that you should stop communicating with creditors (without any explanation of why or what the impacts of this may be). If you do end up getting scammed by a debt settlement company, you can report that company to the Federal Trade Commission (FTC). We will continue discussing some important facts about settling credit card debt in a few upcoming parts of this blog series – don’t miss them! To learn more about how we can help you obtain real relief from debt, call us at (866) 916-3950 or email us using the contact form on this page.